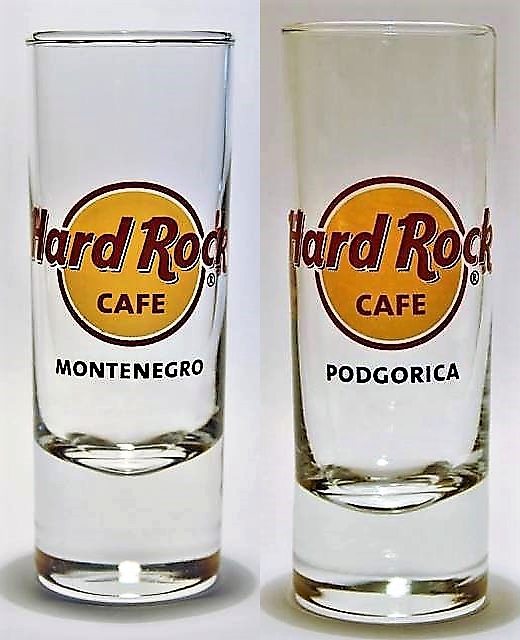 inches) sold by the Rank Group or HRC International . 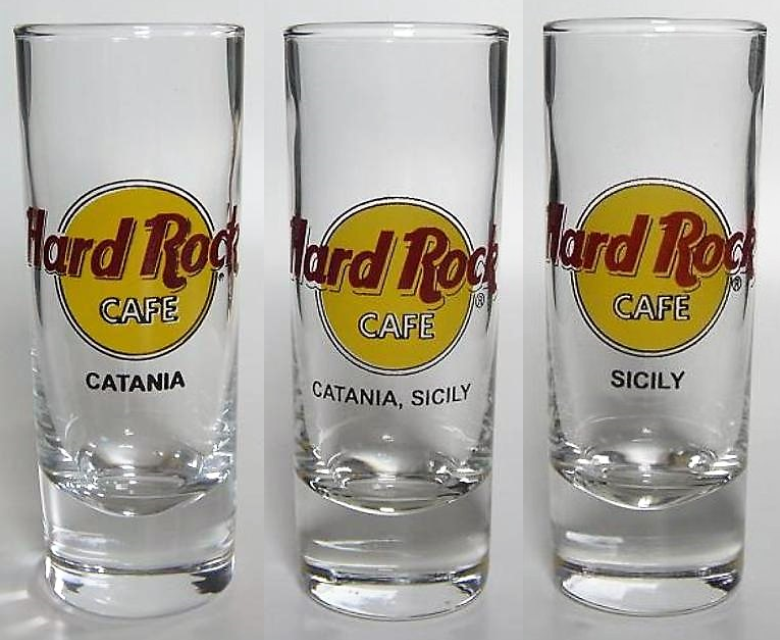 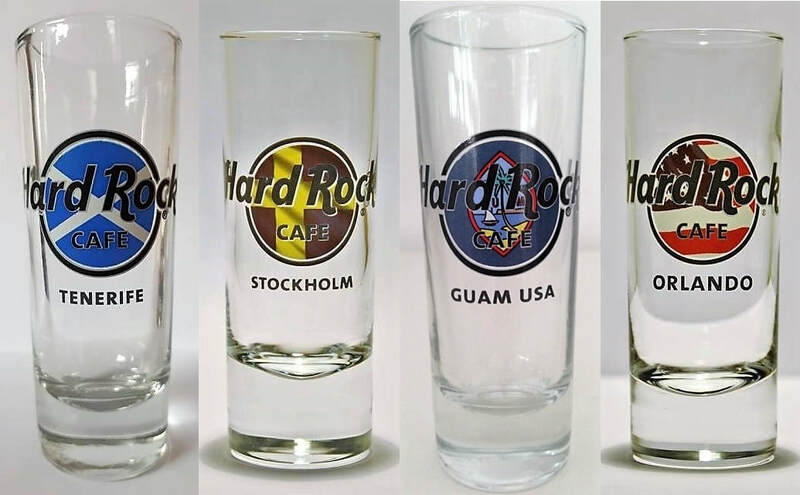 Hard Rock Shot Glasses Flag logo . 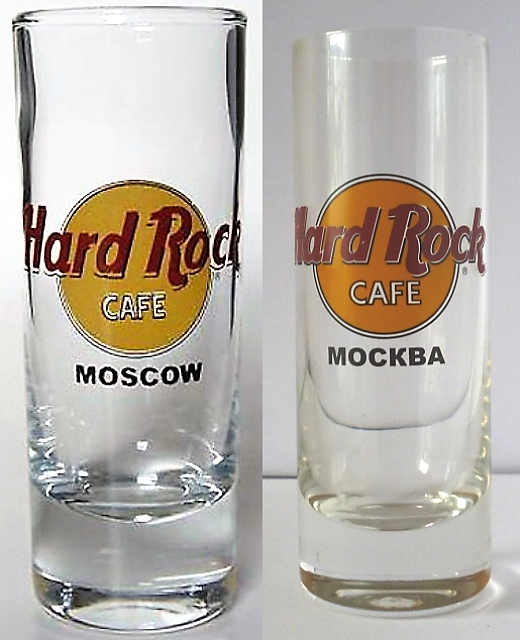 regular logo : have 2 main fonts and 2 colors . 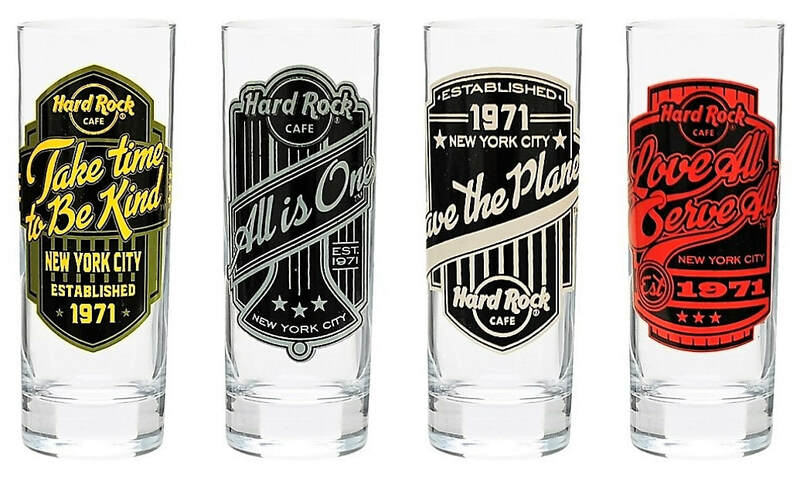 Arial , Times New Roman. 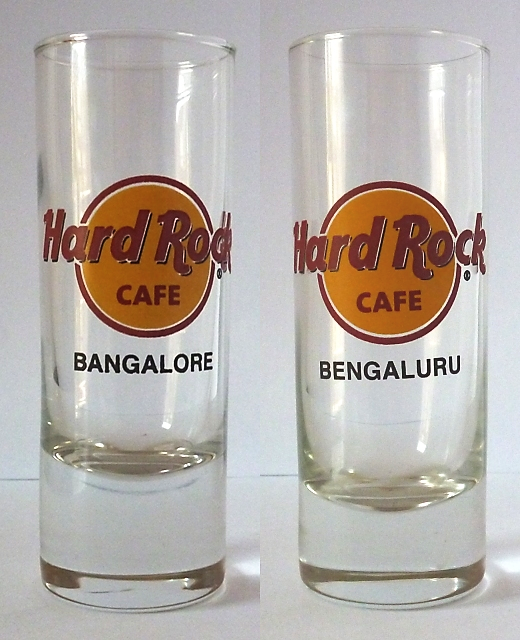 The regular logo shot glass from Hong Kong and the Peak both just read "Hong Kong" these days. 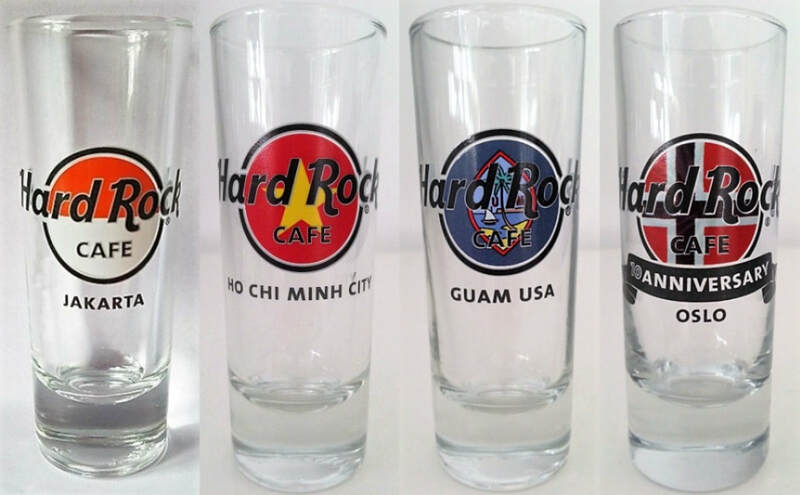 There used to be a unique Hong Kong - The Peak logo shot glass, which is no longer made. 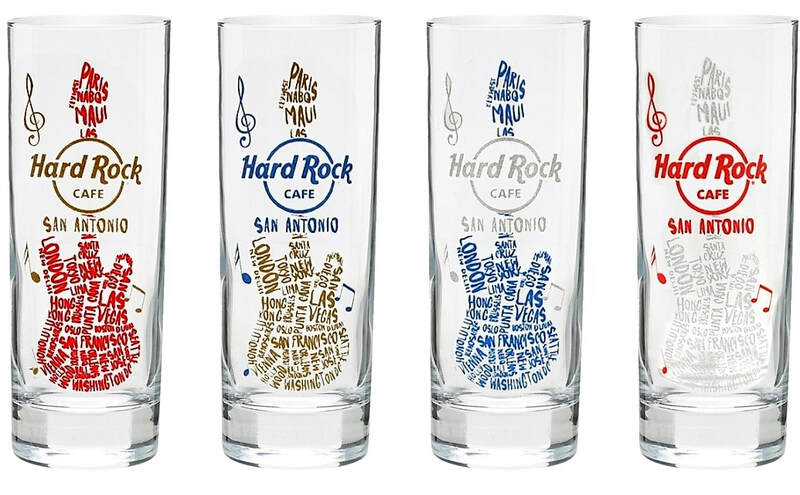 As far as the LKF and The Peak designations, they are used for special glasses only, such as the dragon shot designs which are often released by both locations. 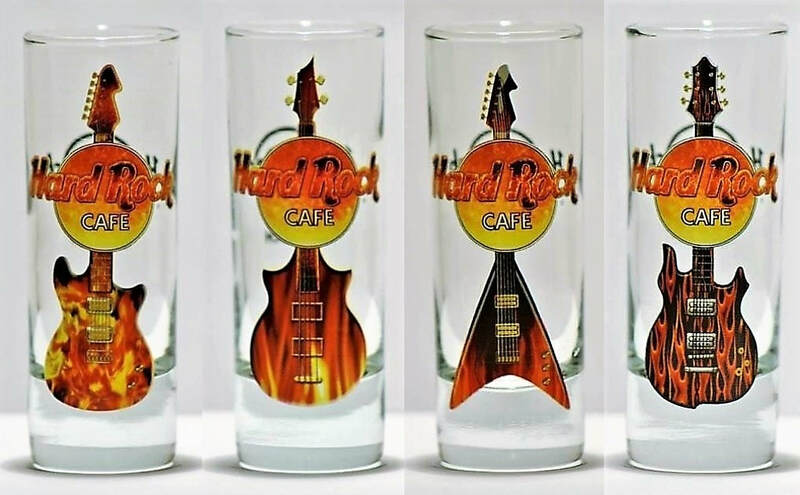 The LKF shot glass pictured above would be considered one of the special design glasses, but there has been no LKF logo shot (without additional design) to my knowledge.